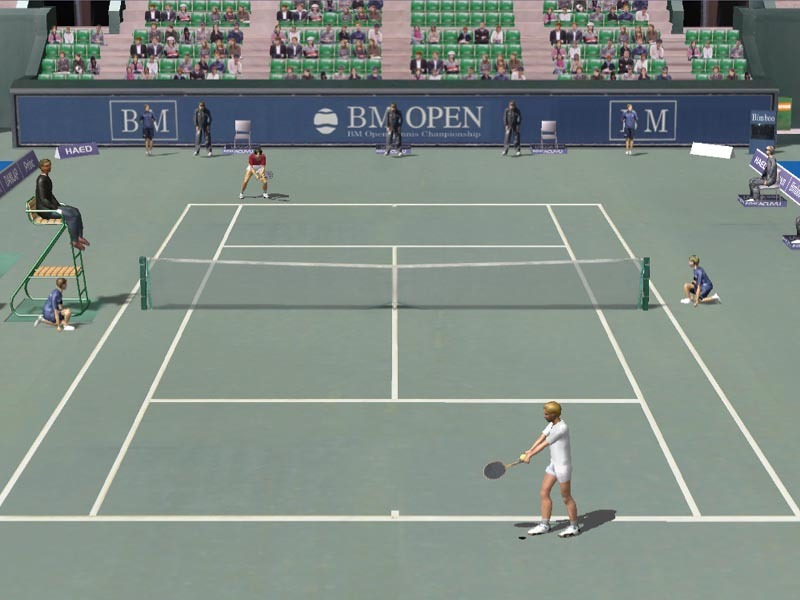 Dream Match Tennis Online is the most realistic online 3D tennis game. You can play with the players from all over the world via the Internet. Control the ball and win the match! - 4 game modes - Challenge, Exhibition, Tutorial and Practice. - The Online Game - At the game lobby, you can create or join online games. Play with the players online! - 7 court surfaces - Hard(3), Grass, Clay and Carpet(2) court. - 4 characters - Unique 4 characters have different types of play style and abilities. - Supports keyboard and joypad - It is strongly recommended to use joypad. - Supports PLAYER vs. PLAYER and PLAYER vs. COMPUTER - To play PLAYER vs. PLAYER, there must be at least one joypad. - 7 computer levels - *System Requirements* Windows 98/ME/2000/XP 1 GHz CPU 256 MB RAM DirectX 9.0c DirectX Compatible 3D Card (GeForce FX 5200 level) Demo limitations: The demo version is limited to select one character in the online game, and limited to play 5 minutes in Challenge and Exhibition. This site does not contain serial number, crack, keygen Dream Match Tennis Online serial number : serial number is the simplest type of crack. A serial number(cdkey,product key,etc) is register the program as you may already know. a crack or keygen may contain harmful software. If you cannot find the exact version you want, just give it a try. for more information read .nfo/.txt/.diz file include in zipped file.